The Broxbourne Sports Club can rightly claim to have one of the finest grounds and some of the best facilities for cricket, hockey, squash and tennis in the county. 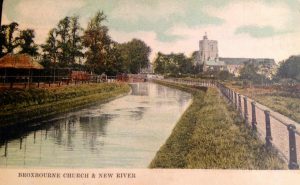 It is set in a picturesque 13 acre site next to the New River in Broxbourne. It is a friendly Community Amateur Sports Club run by the members for the members, providing the community with the opportunity to enjoy playing and watching sport. The club thrives as a vibrant social hub in the area. Broxbourne Sports Club can trace its origins back over 160 years to 1848 when cricket was first played in the ground. 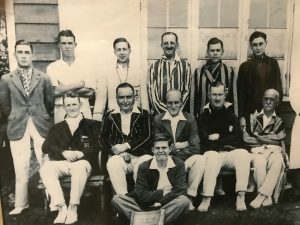 The hockey club was established in 1903, followed by tennis. 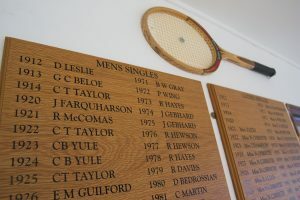 According to the honours board, the first men’s singles tournament was held in 1912. 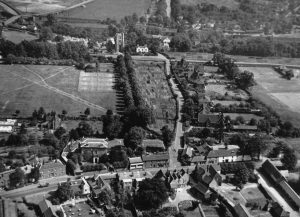 Until 1925 the ground was owned by the Bosanquet family who lived in Broxbournebury. On 7th June 1926 it was sold to the club for £1050.00 which by now included a thriving cricket, hockey and tennis section. A further 3.5 acres was acquired in 1928. After the war the club continued to flourish and all three sections were recognised to be among the strongest in the county. In 1974 a new club-house was built with 2 squash courts, this has since been extended to provide a further 3 courts, including the showcase glass-backed court number 1. Floodlit all-weather tennis courts were the next addition and in 1988 the club-house was extended to provide a new bar. All this was officially opened by Marion Roe MP on 16th September 1988. In recent years other local sports clubs have made Broxbourne Sports Club their home – including Broxbourne Runners and Hoddesdon Tri-Club. Major facilities upgrades have included a new hockey pitch and floodlighting and cricket nets.